Most recent update: June 21, 2009 - check it out here. If you have troubles finding your way around this site, check the new site map! Important note, part II: We have a domain name! This page can now be reached much easier by simply typing: "http://www.timrusstribute.com". The old address is still valid as well, but I hope the new one is more convenient for everybody. I hope that you will enjoy this page and that it will help you to learn more about that highly talented man to who it is dedicated. But it is impossible for any one person to have access to all existing information. I need your help. If you know of an interview that is not listed here, contact me. If you know of anything Tim did that is not listed in the credits, let me know. If you find something about Tim on the Internet, tell me, so that I can link to it and others can access that information as well. 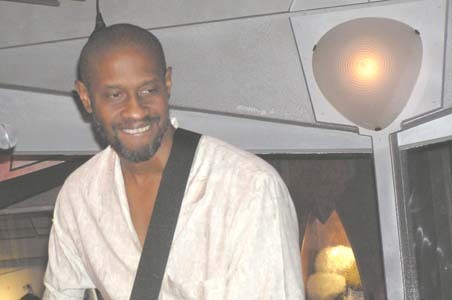 Let's all work together to make this page the best possible source of information about Tim Russ. Also, I would appreciate it, if you all rated my page for Treksearch. All you have to do is follow this link and rate the page between 1 and 10 - 10 being the best. You can also go here and write a review for my page. Thank you! Star Trek, Star Trek: The Next Generation, Star Trek: Deep Space Nine and Star Trek: Voyager are all registered trademarks and copyright of Paramount Pictures. All other trademarks and copyrights are the property of their respective holders. The Tim Russ-interviews and articles are copyright of the respective magazines they originally appeared in or the chat-organizers. No copyright infringement is intended on this page. The site is intended exclusively for entertainment and informational purposes, and should therefore fall within the fair use clause of Trademarks and Copyrights. I am not responsible for the content of this page's hosted sites. All original material on this page is copyrighted by Maria Nausch. All Rights Reserved. Despite my connection with http://www.timrusswebpage.com this site is in no way affiliated with or recognized by Tim's official web page. Opinions expressed in this page are my own and are not necessarily shared by Tim Russ and/or his family. My page is not intended as a competition to the official Tim Russ-web page, but as a supplement. 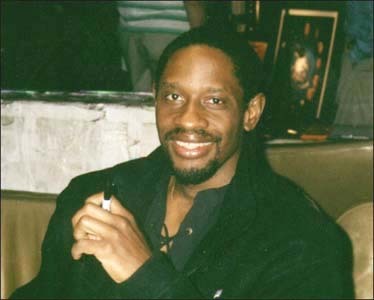 I hope that everybody who likes Tim Russ will visit both pages regularly.